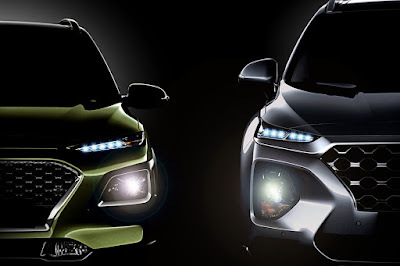 Hyundai Asia Resources, Inc. (HARI), the exclusive distributor of Hyundai vehicles in the Philippines has shared a very interesting teaser photo for their upcoming exhibit at the Manila International Auto Show (MIAS). 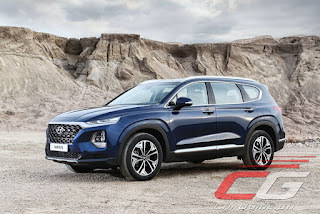 Hyundai fans will surely know that these two vehicles are the Kona sub-compact SUV and the all-new 2019 Santa Fe. The one on the left is the Kona. After denying plans that they’ll be bringing it into the country last year, HARI has turned 180 degrees and is now launching this uniquely styled crossover designed to go against the likes of the Mazda CX-3, Honda HR-V, and Subaru XV. 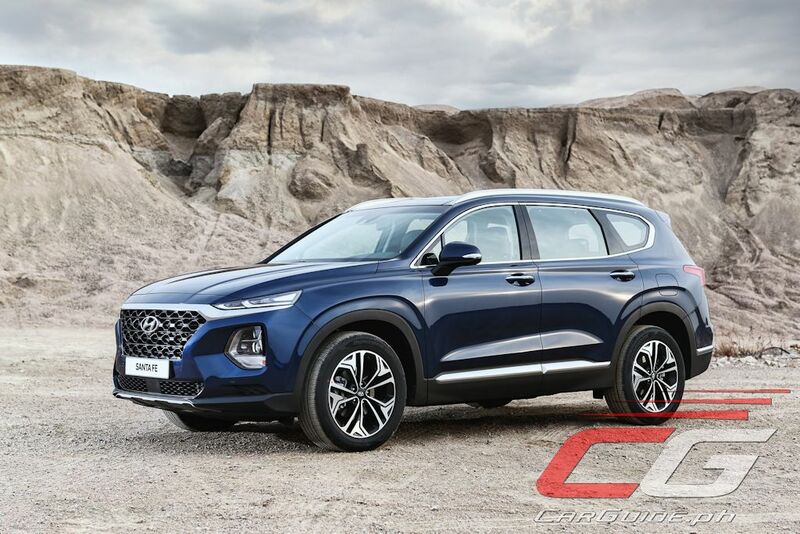 Meanwhile, the one on the right is the all-new 2019 Santa Fe. This comes as a pleasant surprise given it was just shown to the world at the Geneva International Motor Show last February. 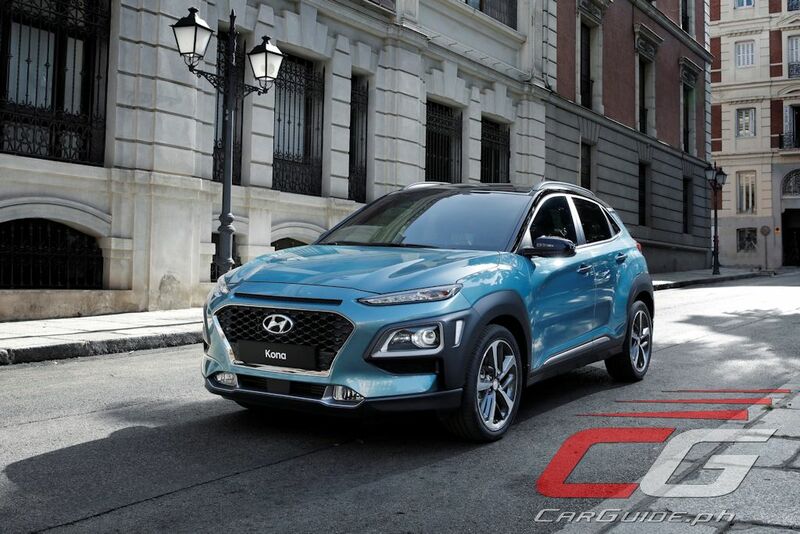 Like the Kona, it carries Hyundai’s new SUV design language with the split headlamps and cascading grille. It looks like the Hyundai pavilion at MIAS will be the one to watch out for this week. The Manila International Auto Show runs from April 5-8, 2018 at the World Trade Center. What happened to the Creta? May hatol ka na, hindi pa mga na release ang mga sasakyan na to? Si madam auring ka ba? They had been released in international markets. Mas maganda pa din either Honda HRV/CRV or Mazda CX-3/5. San ka galing? May time machine ka ba? ^This guy obviously just read local. Try reading international buddy. International? LOL. Why? Sa ibang bansa ka ba nakatira? Do we have the same specs here in the local market? For example, we have the diesel 1.6L engine in the CRV here while in other countries they are equipped with 1.5L turbo engines. And what about the pricing, alam niyo na ba? Too many variables. Ang gagaling niyo, para kayong sila Marty McFly at Doc Brown. Time travelers. Oh and since you gave and AWESOME piece of advice, I would like to give one back to you too - try to use your brain next time buddy. You said they aren't released here yet, so we shouldn't give opinions yet. However, there are already comparisons in other markets to give you an idea. Regardless of specs,it's still the same car. Yeah you will get an idea BUT specs and pricing are still very important. Wag muna kayo magsalita para di kayo mapahiya. Intayin niyo muna irelease ng local na hyundai ang pricing at specs bago mag react. They would probably strip it down to a bare minimum hyundai fanboy. Hirap sa inyo ang gagaling niyo eh. May hatol na, di pa nga na release. They may or may not strip it down. Who knows. Mag intay na lang kayo, ilang araw lang naman malalaman na natin. Mag bash kayo kapag na release na, para di kayo mag mukhang mga desperadong patawa. Based from their current offerings they will strip it down. You are the one desperate in defending a lame distributor, you should be ashamed of yourself. Maybe you're one of them hari. Based feom their current offerings? Bale hula na naman no? Tignan mo nag mumukhang tanga ka na naman. Balikan mo ako kapag alam mo na ang specs at pricing. Don't mind this korean fanboi, he's blind. may mga nakita na akong several gray market Konas here :) It looks nice, I prefer its look over the Juke. kesa naman pareho sa honda na subcompact engine nilagay sa midsize suv. ang bagal ng bagong crv walang laban sa hiway. Walang kinalaman sa engine ang sinasabi ko kasi given na malakas talaga ang diesel engine ng hyundai. Ang ibig ko sabihin yung other features lalong lalo na pagdating sa safety. Matulin nga auto mo eh single airbag naman tapos wala pang ABS, EBD, Stability Control, etc... good luck nalang kapag naaksidente ka. I have a compact car but a fast SUV is better because of the bad road conditions in the Philippines. Plus the rainy season which brings flash floods can easily enter the air intake of the car. With car based SUVs you have a fast vehicle with great handling and have to live with our road conditions. ang gagalung ninyo! saludo ako talaga sa inyo mga brod. Honda is still the best, than crappy hyun die. Mas better pa ata quality ng Hyundai ngayon. Yung Honda nga pintalsik yung CEO nila dahil daming quality problems. Mas mababa pa sa Hyundai yung quality ratings nila ngayon. Honda's quality ratings are lower than hyundai? Is that a gact or just your opinion? Coz if thats true how come that many people still doubt hyundai's reliability? Based on quality ratings yan boss. Most never heard of that since we really on what we've grown up with but manufacturers take that. Yan dahilan sinita ng Honda kanilang previous CEO.